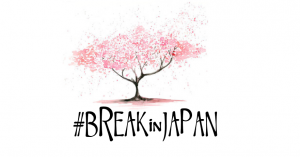 To my utter astonishment I discovered the existence of a second breakscene in Japan. The “normal” one as we know it in the Netherlands and the second one is the university/college break scene. A lot of universities/ colleges have “bboyclubs”. In the Netherlands you might enter a sportsteam as a student. 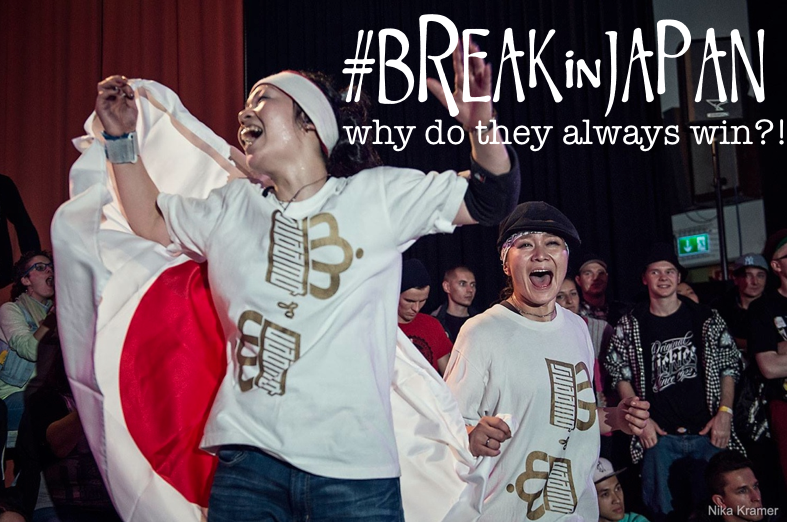 We have hockey clubs, soccer clubs… but bboyclubs is something I never heard of before. 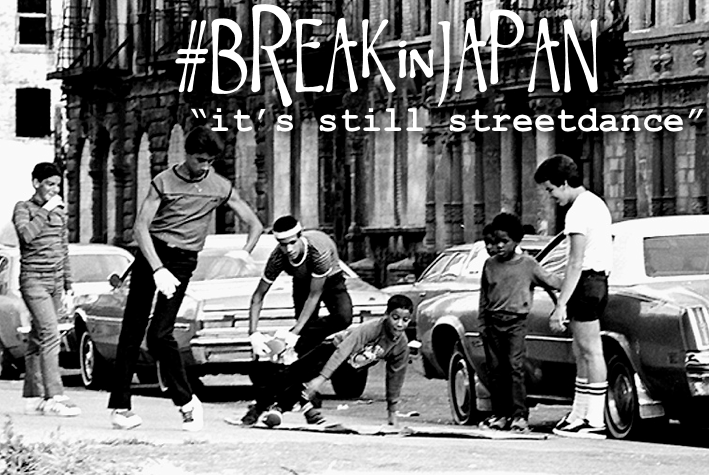 The dancers joining these “bboyclubs” are in a sort of parallel breakworld. They have their own practice spot provided by the university and throw their own jams. 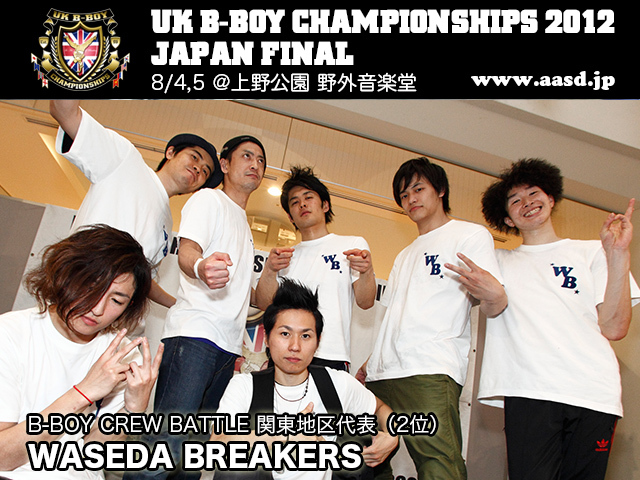 If I got it right, the crew WASEDA Breakers started originally as a bboy club from the Waseda university in Tokyo.Not everyone seems to have studied there but they represent the name of the university as waseda breakers. You finish highschool at the age of 17/18 and after highschool you can start working emidiately – it’s called “arubaito” – best described as a part-time job. This kind of occupation seems popular amongst the breakers. You have the possibility to take multiple jobs and it is easier to take a day off compared to a regular job. 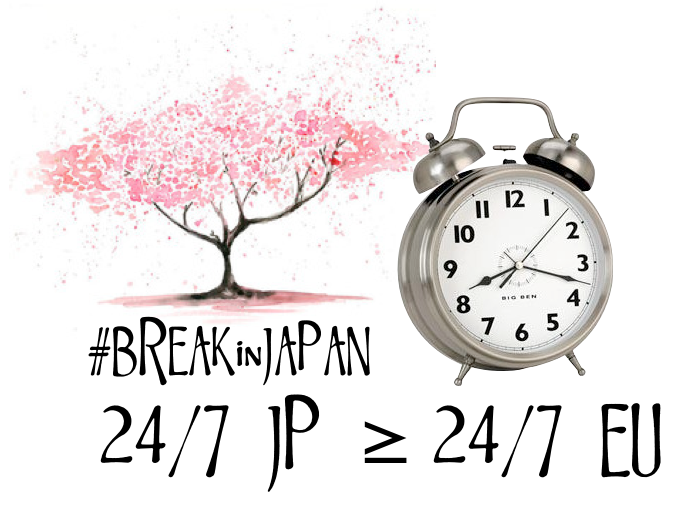 Taking days off is very handy if you are a breaker and you want to visit jams. Besides starting arubaito straight after highschool you might consider going to university/college. I had the feeling that the percentage of young people attending universities is higher in Japan then in the Netherlands. In the Netherlands we have a system which divides tertiary education in MBO, HBO and university. MBO is oriented towards vocational training whereas HBO (university of applied sciences) and universities (research universities) put an emphasis on the theoretical background. Japan doesn’t have a division like that. If you attend an university, the name and ranking of the university plays a huge role in the chances of getting a good job or being accepted at a graduate school. To get into a university you have to take the infamous exams called Juken. Some people start 6 months or a year ahead with studying to try to get into a good university, the competition is very high. Once you have passed these exams, your life starts! (of course this depends on the university. 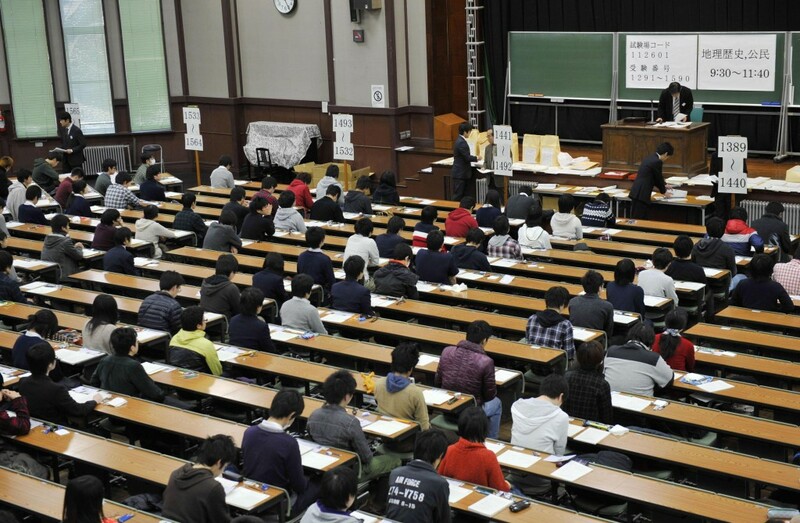 Top universities like the university of Tokyo will require more study time then somewhere else). When I talked with some students it seemed like the social clubs or sport teams you joined were more important than studying. If you join a team, you practice 4-5 times a week – also during summerbreaks or winterbreaks! – and you have competitions during the weekend. this situation seems not to be as common in Japan once you entered college. The picture is more applicable for students who are about to take the Juken. 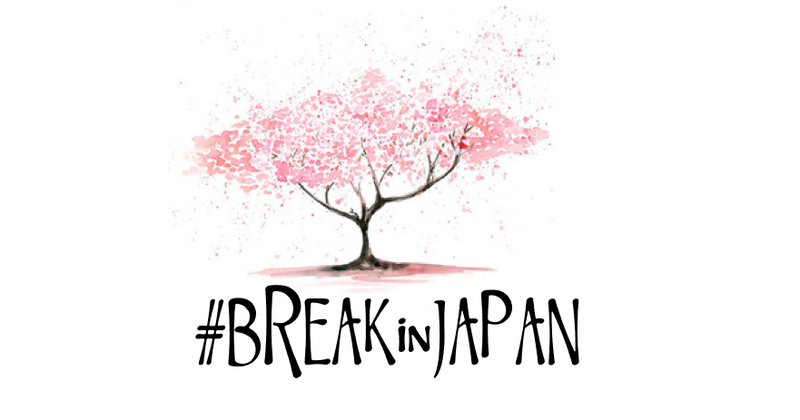 A lot of dancers who start breaking during college/university see breaking as a hobby not as a lifestyle. Some of them will keep dancing after graduating but a lot will quit dancing. The level of breaking is higher in normal competitions compared to the college competitions. Breaking through college is beneficial because the university provides you with facilities. 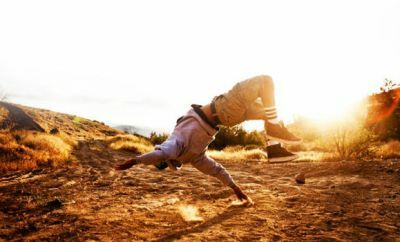 Dancers who do not attend college can get into these practice spots as well – you just need to know the right people and you can ask if you can use the practice spot. If you ask me the college breakscene is a different world. Two worlds which collide time to time through events or through practice spots. I find it a interesting phenomenon which we do not have in the Netherlands!